Corotech gets you reconnected and back to business in no time. As a division of Corovan, Corotech provides different levels of tech services based on your IT team’s needs, giving them more time to focus on the most critical tasks during a move. With the help of Corotech, you will eliminate downtime during technology changes and relocation projects. Our technology relocation and support services are embraced by the most technologically sophisticated businesses in the world. We deploy specialized teams and use highly refined processes to handle desktop workstations, computers and other equipment quickly and accurately. 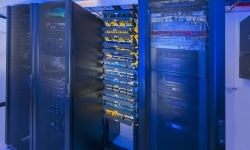 Planning and executing a data center relocation is a challenge—these are complicated moves. Our qualified technicians are here to help you every step of the way-from planning to execution. We provide upfront planning to help you get organized, and professionally supervise every aspect of your technology change project. Our tech team is here to help with new technology roll-outs, including setting up and testing your new equipment such as computers and phone systems, leaving you and your team more time to focus on keeping business running as usual. Keeping track of computers, printers and equipment often takes a backseat to other business, but itemizing and accounting for your technology assets is important. 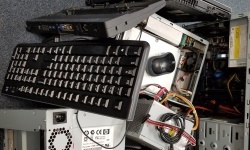 Hard drives and other e-waste materials are decommissioned and recycled and repurposed wherever requested. Don’t get tangled up on the day of your move. Get Corotech. Your move can place unexpected demands on your IT team. Corotech partners with you to quickly re-establish connectivity to get your business back up and running. 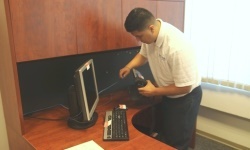 We’ll work with you to provide a cost effective solution for disconnecting and reconnecting computers, printers, phones, and other hardware — giving your IT department one less thing to worry about. We are not a data security company, so it is up to you to back up, encrypt, password protect and secure your data. Eliminate the cost and hassle of recruiting and training technical staff and get immediate tech support with Corotech for your temporary or ongoing IT support needs. Contact UsRequest a Free Quote and talk to our technology relocation expert today!